Documenting, presenting, and conserving the diverse traditional culture and heritage of the Commonwealth. 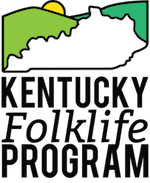 The Kentucky Folklife Program and graduate-level public folklore class have collaborated to provide programming for and staff theHorse Cave Heritage Festival for almost ten years. From conducting narrative stages to surveys and interviews, students spend the day practicing the skills they’ve learned in class. 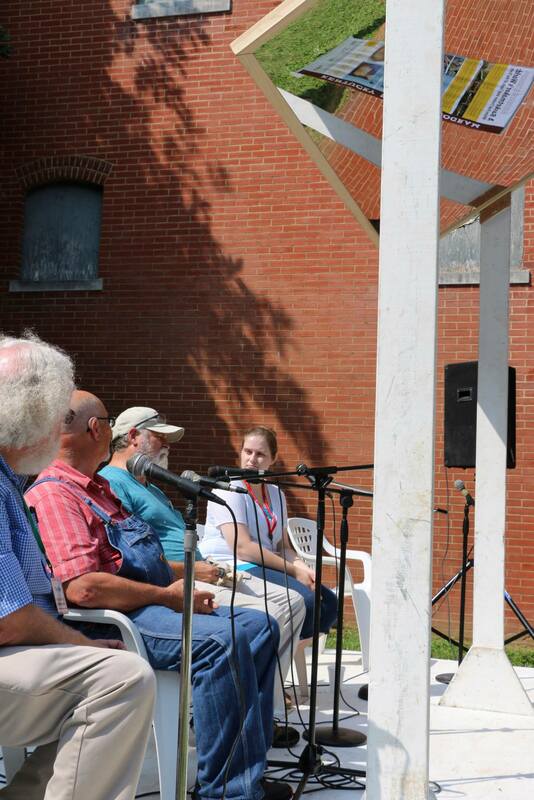 This year, we were excited to help the town celebrate its sesquicentennial. Hoping to capture Horse Cave’s communal story, the Hart County Tourist Commission enlisted our help to collect short video clips to share on www.horsecavestories.com. Stay tuned for updates to the site — new videos will be uploaded soon! Left: Tim Evans and his student, Katheryn Young, lead a discussion on the narrative stage with local woodcarvers. 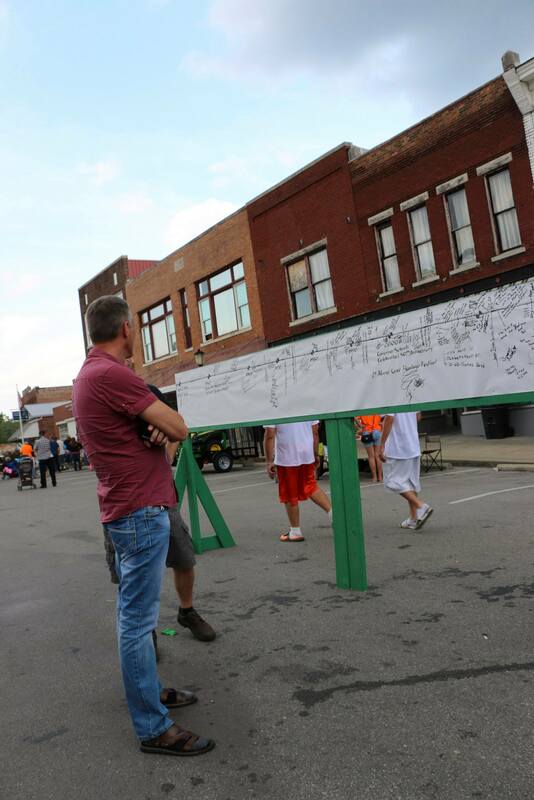 Right: Later in the day, a visitor looks at the interactive timeline, where festival-goers were invited to share their Horse Cave memories. Documenting, presenting, and conserving the diverse traditional culture and heritage of the Commonwealth of Kentucky.